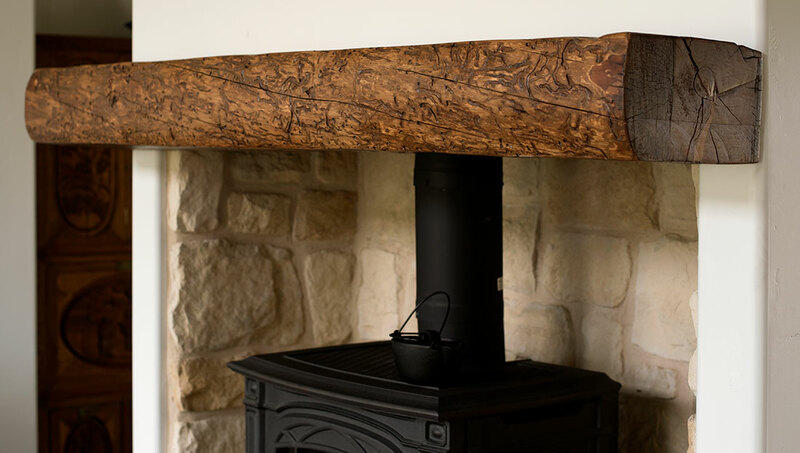 Our goal was to use a large reclaimed beam for a fireplace mantel in our house. Step 1 - Our photographer and carpenter, Forrest Anderson, drew several rectangles along the inside surface of the beam on the side where it was to connect to the fireplace enclosure. He then used a 3/4-inch drill bit to drill holes down into the rectangle. Step 2 - He used a King Arthur's Tools Lancelot carver, which is a small circular chain saw attachment to a side grinder, to chip out sections of wood as far down as the tool would cut. 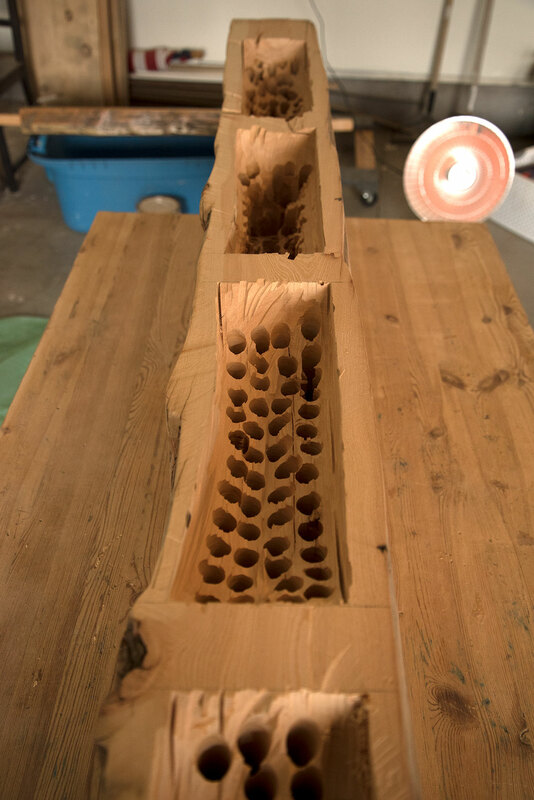 The result was a beam that was at least a third lighter than it was in its original state and well within the load that the studs would comfortably carry. Step 3 - The log was stained and finished. Forrest then used ten-inch lag screws which he ran through the studs in the wall into the beam. 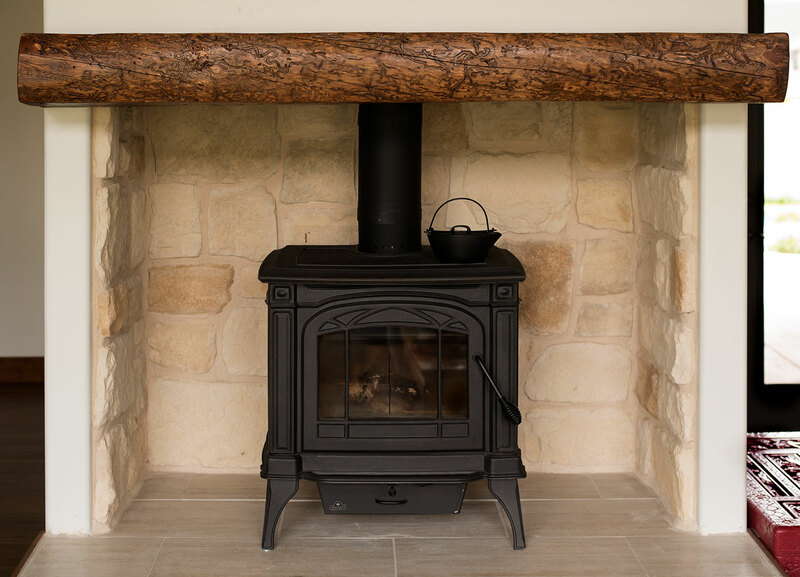 The mantel sttaches to the fireplace enclosure invisibly and strongly. Forrest Anderson and Donna Rouviere Anderson are writing a book about using reclaimed wood in a home and to build furniture.